Last year I exhibited the series of paintings and gave a talk called “Native Species Threatened: the Environment, Climate Change and Faith, from 1600s New England to Pope Francis.” Pope Francis has written eloquently and passionately about the environment in his Encyclical on Climate Change, following in a tradition that goes back to St Francis, the patron saint of animals and the environment. In my art I try to address themes such as climate change, endangered species, and the spiritual and moral duty of human beings in protecting the earth. 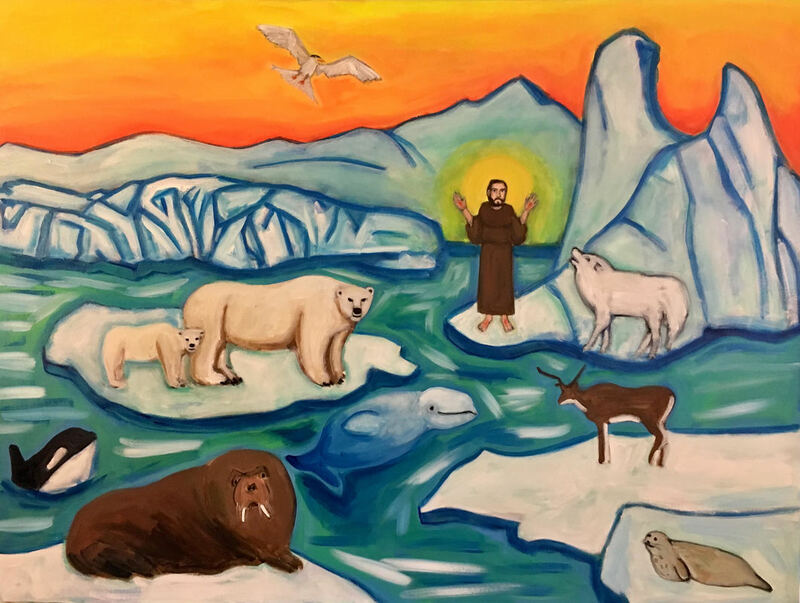 In “Arctic Vision of St. Francis,” I bring St Francis to the arctic as witness and vision to a changing climate, the loss of ecosystems, and life. 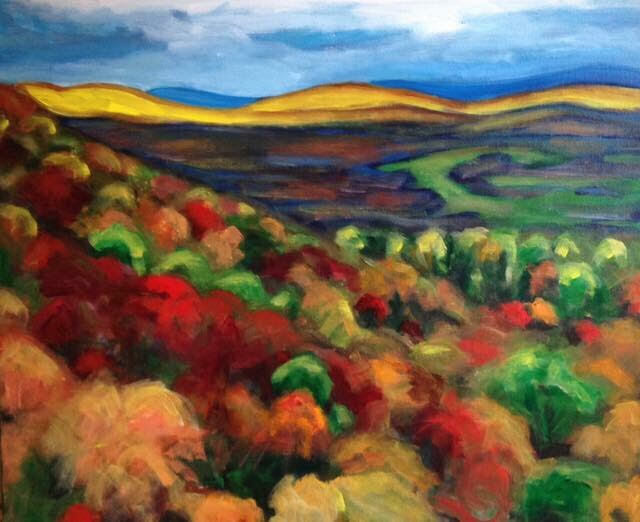 I also find constant inspiration as well in the local culture and natural surroundings of New England, where I live with my daughter and husband. Janel Houton paints and draws nature, landscape and figural themes using acrylics and other wet and dry media. Her interest and studies in American History, Art History, Japan, climate change and Buddhism provide themes and subject matter in her art. She is also interested in the complex relationship between humans and history, especially with respect to nature and the environment. You can view more of her work at www.janelhouton.com.